The son of the famous Italian architect Carlo Scarpa, Tobia Scarpa trained in Venice before launching his career as a designer of lamps, furniture, and glass objects. In the early 1960s, he began to design modern furniture based on the principles of Le Corbusier. He and his wife Afra, designed for several of the biggest names in the Italian design. 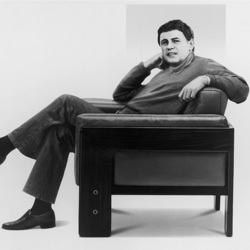 With the 1968 acquisition of Gavina, the Bastiano Lounge collection was introduced to the Knoll catalogue. The simple, comfortable design worked well with modern and traditional interiors alike and was one the most successful products of that time period.